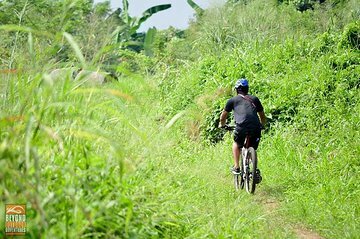 Enjoy an active, family-friendly day out of the city on this full-day mountain biking tour of Nuvali. Kids and adults will both enjoy riding around the lake, feeding the fish, bird watching, and taking a boat ride. Your guide will ensure everyone is comfortable, while telling you about the beautiful wildlife sanctuary. An easy way to make a day trip into nature from busy Manila.